We offer fitting and welding for a wide range of shipbuilding, energy and industrial construction services. 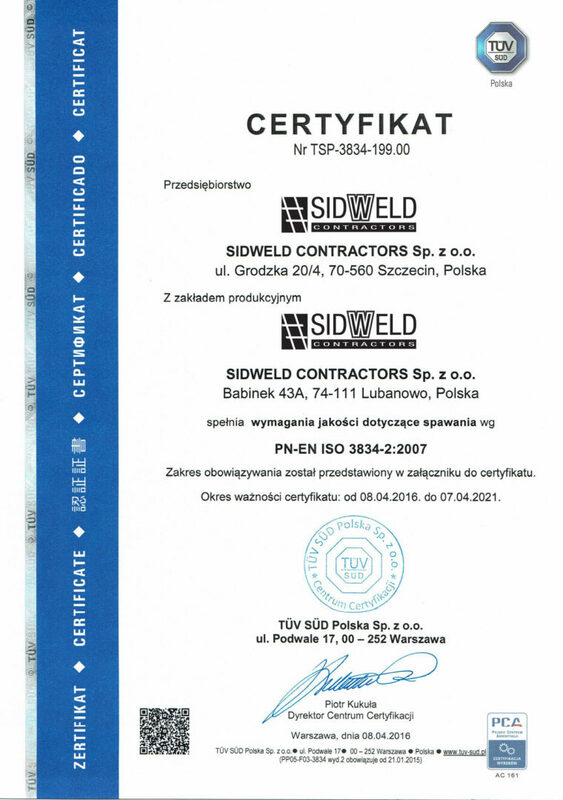 Sidweld participates in the construction of complete facilities and structures for foreign partners. Europe is our home. We offer fitting services at customer’s or business partner’s sites, assemble prefabricates in factories and workshops in Poland and abroad, as well as at our own facility adapted to all kinds of welding and fitting. We guarantee top quality services thanks to our well trained staff. 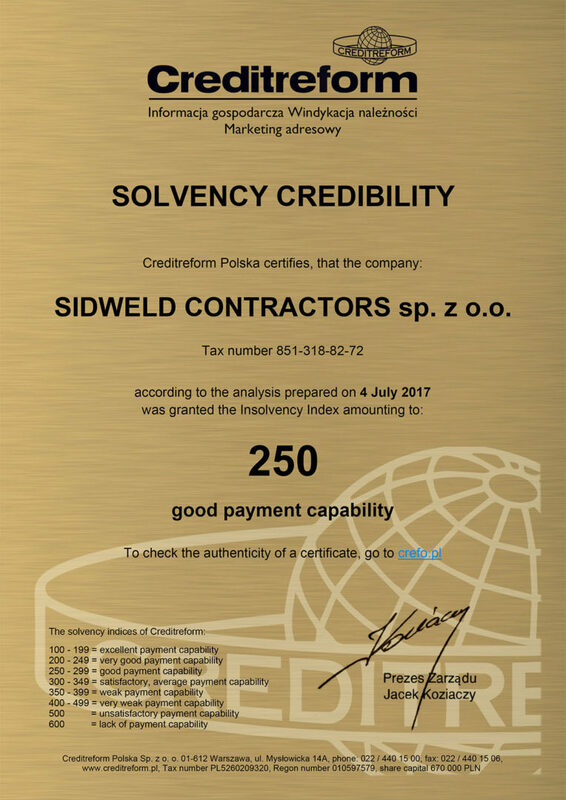 Our qualifications and experience was gained in one of the best schools in the world priding many years of tradition – the School of Shipbuilding in Szczecin. 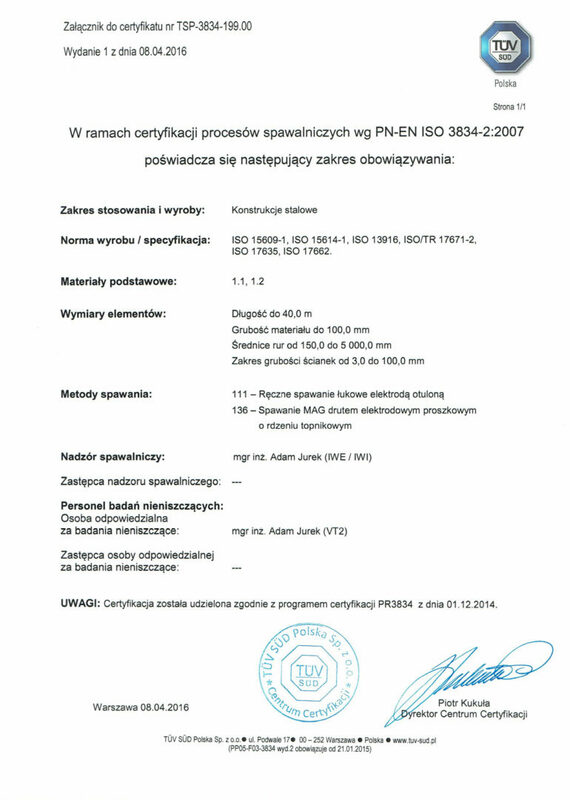 Our certificates and long-term customers prove we offer work of highest quality with great attention to details. 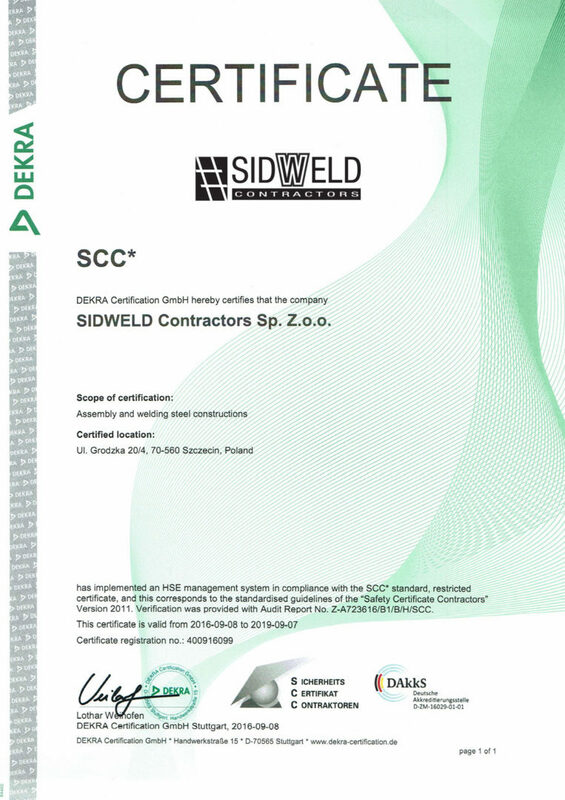 We have certifications in the field of steel assembly and welding, including the SCC-compliant health and safety management system; welding steel structural members on all types of buildings in accordance with EN 1090-1: 2009 + A1: 2011 and welding in accordance with PN-EN ISO 3834-2: 2007. – We perform both: on site construction and prefabrication of parts in workshops. – We apply the following welding processes: 111 MMA, 135, 136, 138 MAG, 121 Automatic, 141 WIG TIG. 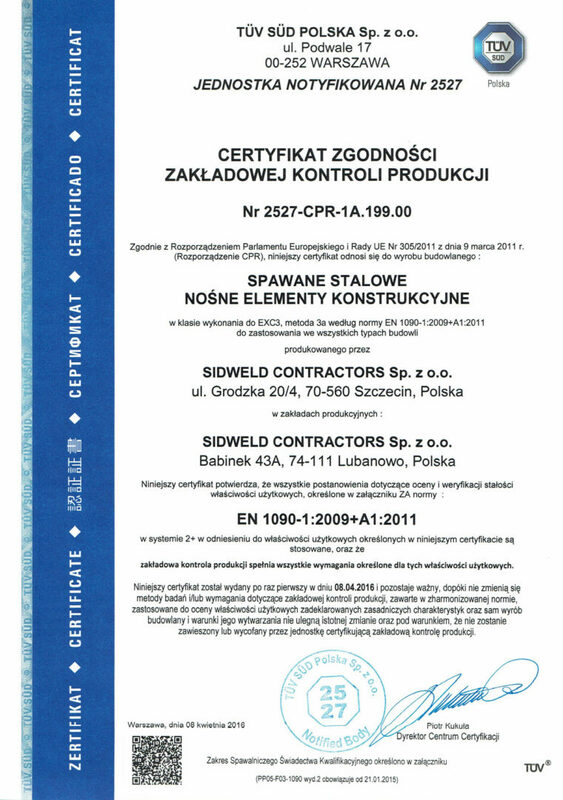 – Welding employee certifications were established according to standard 9606-1. We offer fitting and welding for a wide range of shipbuilding, energy and industrial construction services. We are looking forward to getting in touch with you.